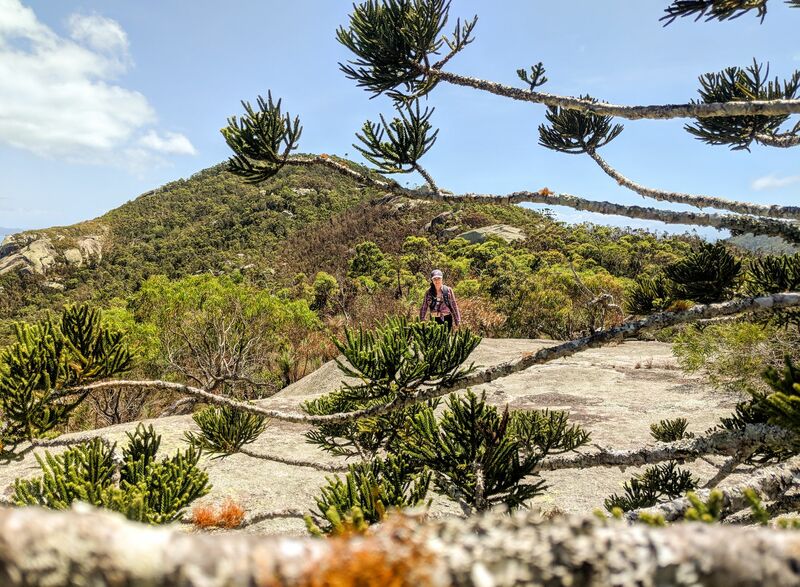 Located in Bowling Green Bay National Park on Cape Cleveland, Mount Cleveland rises 558 m above sea level. 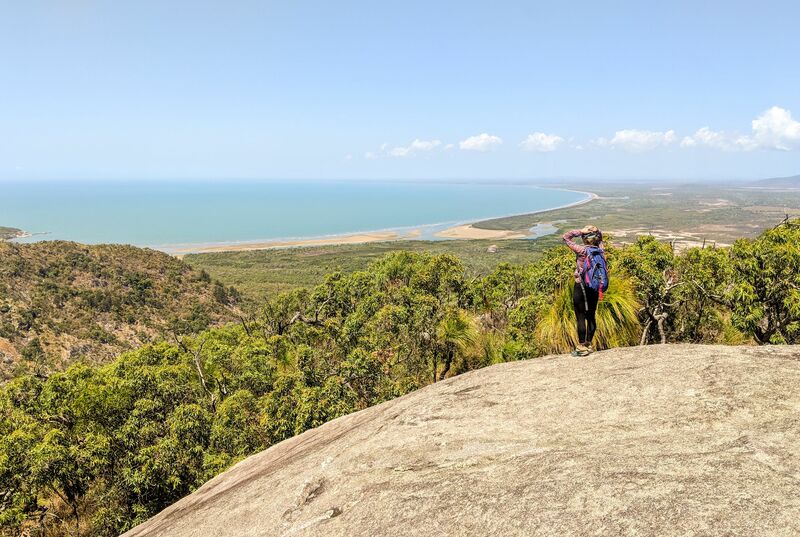 The suggested 13 km circuit makes for a perfect day walk where you can enjoy views of both Townsville and Chunda Bay from both sides of the Cape. 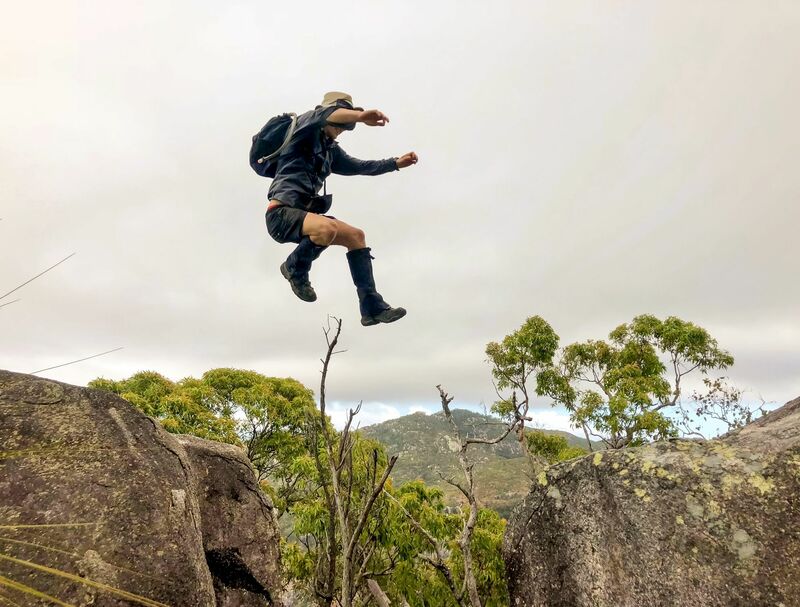 When you reach the summit, you can take in the views and check out the old rusty remains of a trig point. In case you didn't know, trigonometrical stations (i.e., trig points) are beacons that are often at the top of peaks that used to be used for triangulation and navigation purposes. Today, they are often kept intact, as they can be useful navigational aids for hikers. 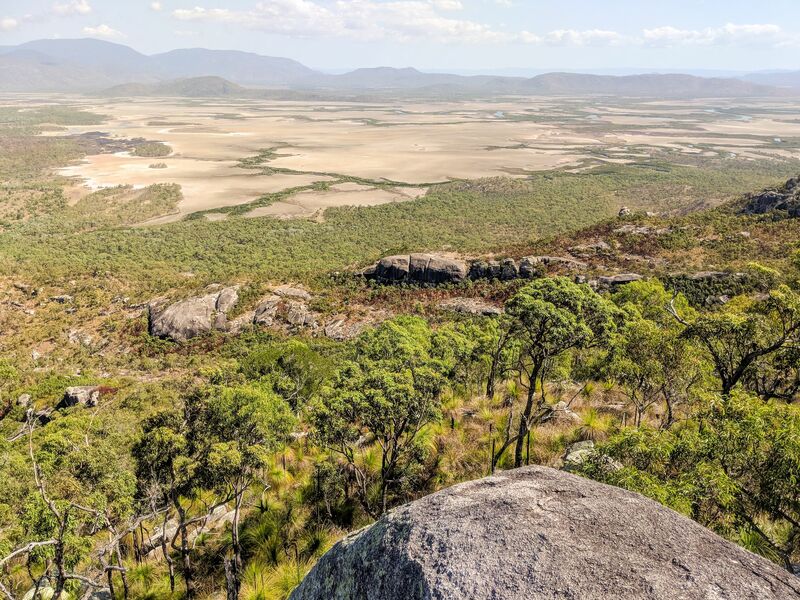 Vegetation is mostly bushland, with a lot of exposed rocky outcrops comprised of granite. 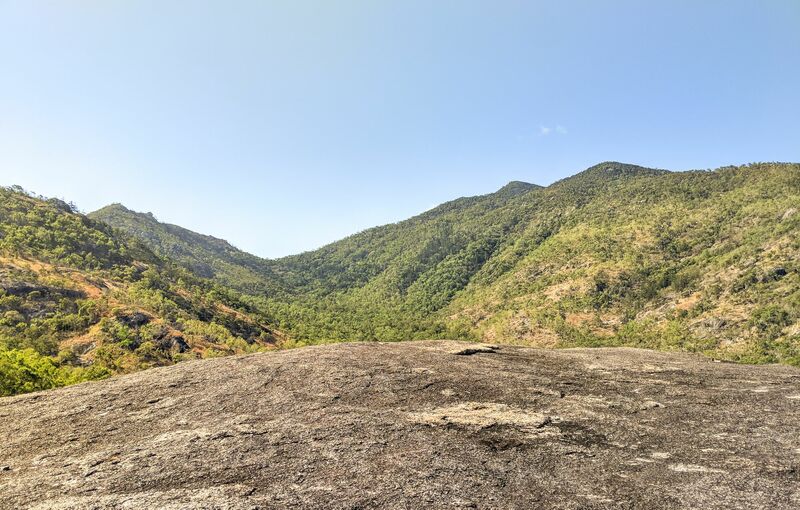 There are at least two species of shrub that are endemic to this area. Be mindful, however, there are a few gympie gympie (i.e., stinging tree) near the creek beds. 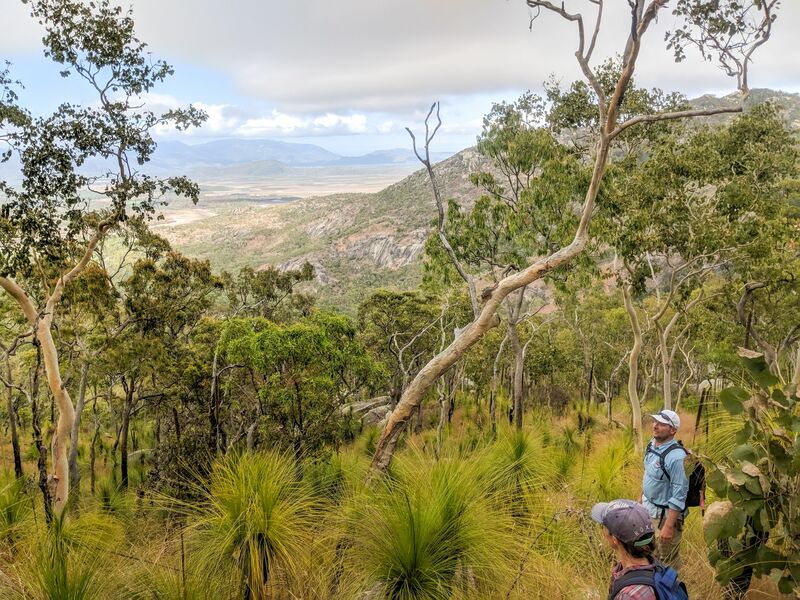 As you approach the top, the bushland closes in a bit, and you may feel encapsulated by the trees and wind-twisted vine thickets. Cabbage tree palms (Livistonia australis) are near the summit. Animal life can include wallabies, an array of bird species, including birds of prey (e.g., kites, sea eagles), and you may spot the sun-skink (Lampropholis mirabilis) that is endemic to the area as well. On the inland side of the cape, you will find more exposed rocky outcrops. On the point, you'll find cliffs. 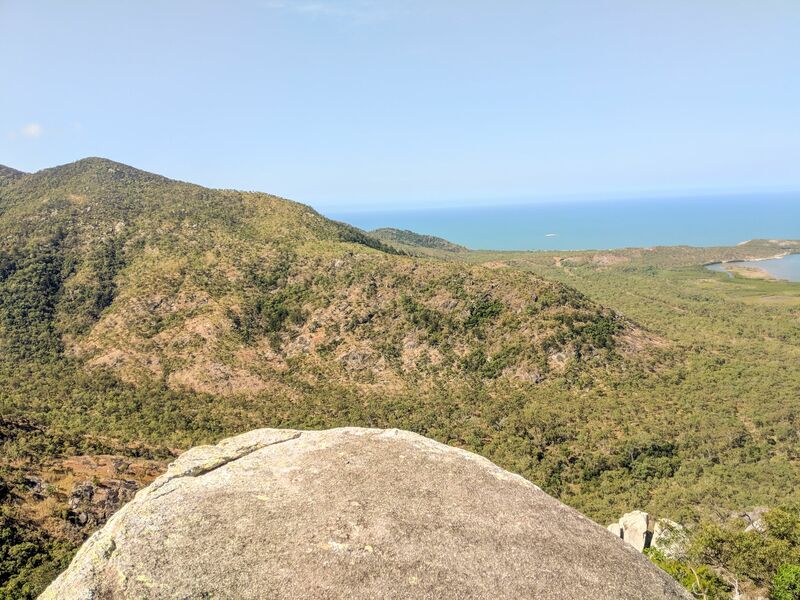 Really enjoy the views as you walk the ridge line; looking west toward Townsville, you'll see landmarks like Castle Hill and Magnetic Island in a completely different light. Here's a suggested route; I find that the ridge lines in this type of terrain feel open and are easy to traverse. 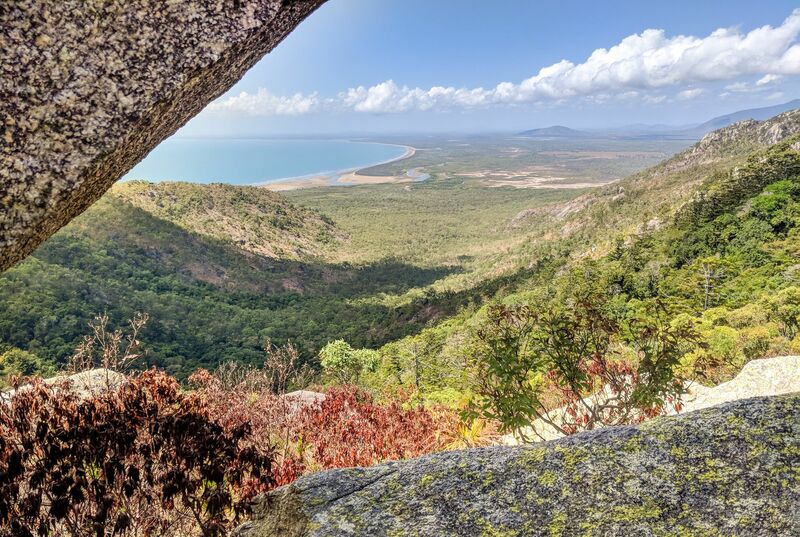 Drive south of Townsville, and turn left onto Cape Cleveland Road (the AIMS turn off). Continue out to the Cape to the base of the mountain. You'll see the suggested car park on the interactive map. 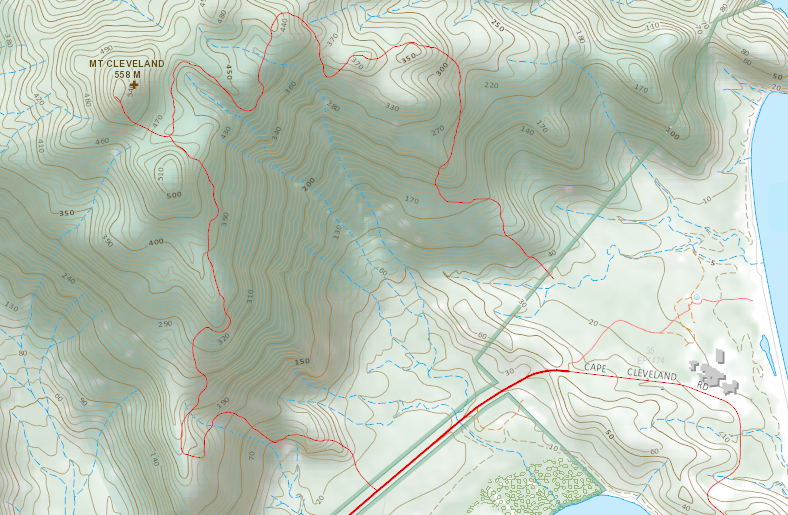 QTopo suggests that there used to be a route to the summit, perhaps an old track from WWII or that era. However, this has long since disappeared (or never existed in the first place).